Security Solutions is highly experienced in delivering “state of the art” security systems to government institutions and agencies, including Bozeman Yellowstone Airport, Gallatin County Law & justice/ Detention Center, Museum of the Rockies, Bozeman High School, and Park County Jail. We are well versed in the day-to-day security threats faced by government organizations, and utilize our advanced skill set & service offerings to help minimize them. We are no stranger to government security, and offer a comprehensive suite of services specifically tailored to this sector such as detailed site evaluations, camera demos, system configuration, installation support, and virtual integration. In 2011, Bozeman Yellowstone International Airport expanded its terminal area by adding 125,000 square feet of space, including three additional gates, a new baggage claim carrousel, and an expanded food and gift concessions area. With the additional space and increase in air travel, the Airport decided to upgrade its aging surveillance system. The outdated analog system could not be upgraded to provide the required passenger and airport security for the new International Airport. To create a new surveillance solution, the airport officials selected Security Solutions Inc. to replace all of their cameras, and install new “state of the art” access control and video management systems. Security Solutions was awarded the installation and maintenance of the new Airport security system because of their technological, installation, and maintenance expertise. Security Solutions is a Bozeman based company with over 30 years experience in advanced security systems. 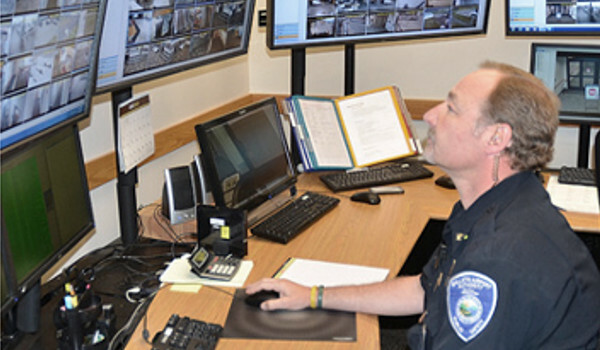 The new surveillance system exceeds Bozeman Yellowstone’s growing travel demands as well as the Federal Aviation Administration (FAA) and Transportation Security Administration (TSA) requirements. Bozeman Yellowstone International Airport is equipped with the latest security technology that ensures exceptional safety and security.